A modular home is a house that is built indoors in a factory setting. Once	it is finished, it is covered and transported to its final location, where	it is assembled by the builder. How Do They Differ From Mobile Homes? Mobile homes can be moved from one location to another, while modular homes	are placed on a permanent foundation. Why Purchase a Modular Home Over a Site Built Home? Modular homes are not only more affordable than site-built homes, but they	also often must adhere to stricter guidelines, building codes, and rules	than site built homes, meaning you get more than what you pay for. 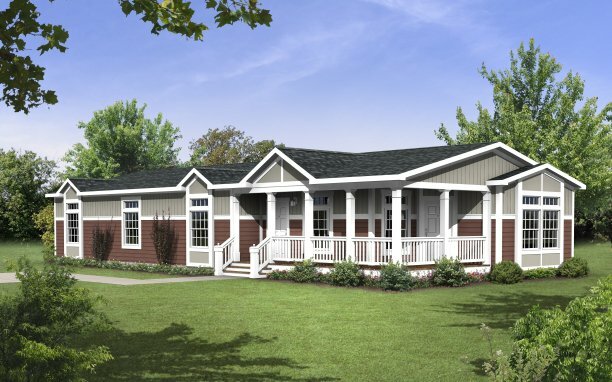 What Types and Sizes of Modular Homes Do You Offer? We offer a wide range of modular home sizes and types, including two, three,	four, and five bedroom options with various square-footage. You can also	select your countertops, interior, and exterior paint colors, flooring,	etc. Nearly everything is customizable! How Long Have Modular Homes Austin Been in Business? Our team has more than 60 years of modular home experience and has helped	countless families and individuals purchase the home of their dreams throughout	Central Texas! Do You Offer Free Estimates for Your Modular Homes? Since all our modular homes are customizable, we cannot offer estimates	until we sit down with you to determine your needs and wishes. We do,	however, offer free tours for all our floorplans so you can see which	home you like best! Our team truly strives to be your “one-stop-shop” for modular	homes. We work with contractors, water companies, realtors, etc. so you	don’t have to. If you have any further inquiries regarding modular	homes or how we can assist you, please do not hesitate to	contact our office at (512) 385-9701.